Place chopped strawberries in a small saucepan. Add water to pot and bring to a boil. Turn heat down to low and simmer uncovered for 15-20 minutes, until liquid is red and strawberries have lost their color. Over a clean pot, remove strawberries from syrup by straining. Discard cooked strawberries. Add brown sugar into warm syrup and whisk until fully dissolved. Pour sparkling wine into champagne flutes, approximately three-quarters full. Add 2-3 tablespoons of simple syrup into champagne; adjust to taste. Stir. 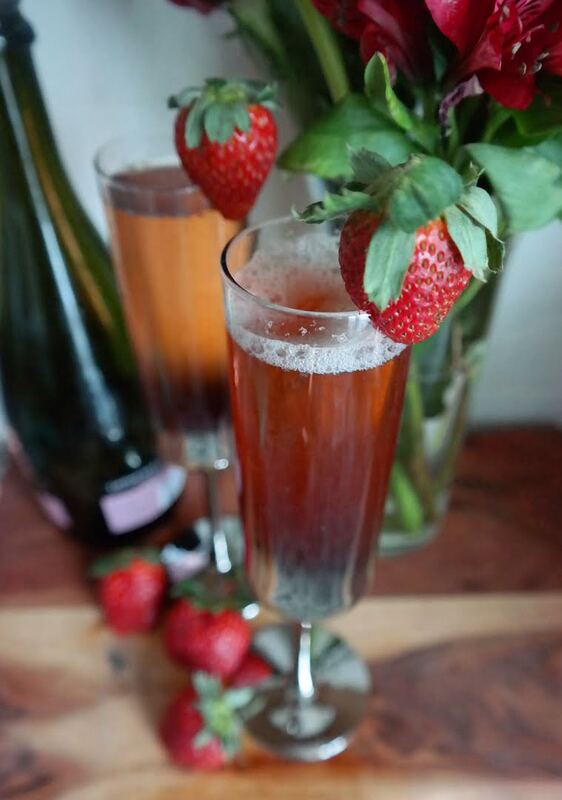 Garnish flutes with fresh strawberries.